Vox Camerata Chamber Singers want you! 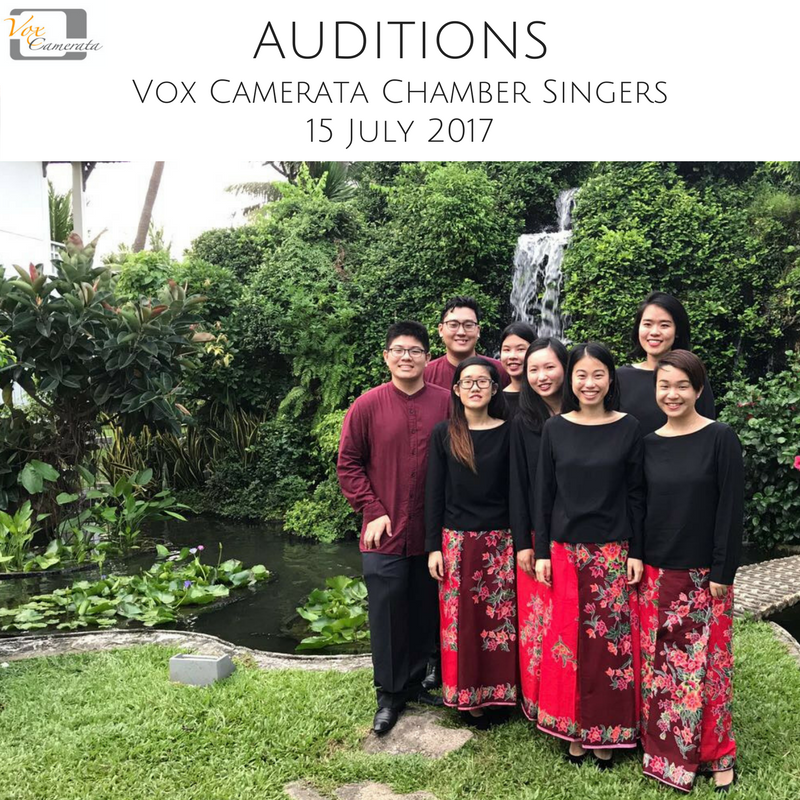 Vox Camerata Chamber Singers is the auditioned arm of the community choir and allows the space for most interested members to specialises in performing more challenging vocal chamber repertoire beyond that performed by the community choir. Chamber Singers must be available on Saturday afternoons 1pm-5.30pm for community choir practice and evenings 7pm-9.30pm. We are currently recruiting singers for all voice parts. Please prepare a song of your choice, and if preferred you may bring your own music accompaniment. Spread the word, and see/hear you at auditions!